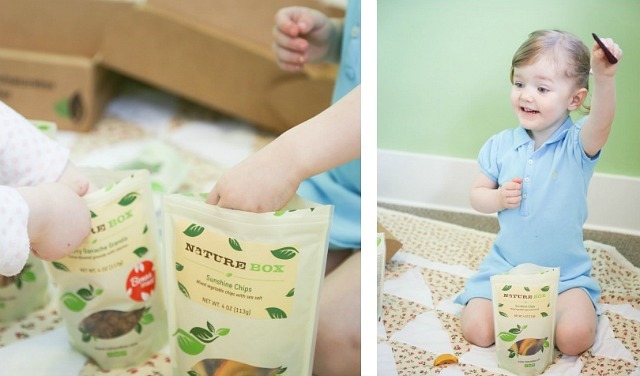 NatureBox is an awesome subscription service that brings delicious and healthier snacks for kids as well as adults right to your door once a month. We had the opportunity this past week to try them out and it was a huge hit! I was bit blown away actually. When we first opened the box I was surprised because I expected just a collection of healthy snacks from various companies tossed in together but no! NatureBox makes every single one of the treats (over 90 options!) with wholesome and natural ingredients and in the purest way possible. Not only are they nutritionist approved but I also found out that they have no high fructose corn syrup, no trans fats, no artificial sweeteners flavors or colors, no partially hydrogenated oils, and the list goes on. That's huge to me, and to you I know! I love reading the ingredient list too because everything is so pure and pronounceable (am I right? haha). That's so refreshing when a lot of what's available as quick and easy snacks for kids are items so far from anything natural or healthy. They also have so many choices that you can filter through by clicking things like 'vegan', 'nut free', 'gluten conscious' and 'savory' etc. Love that! I also love that there are three different choices to choose from as far as price and size so everyone can find the perfect fit for their needs/wants, and also that you can change which snacks you get every month or let them surprise you! We were also amazed at the fact that even though everyone was munching away for ages, there were still so many snacks left! It was like the loaves and the fishes.haha Each bag has 3-5 servings, and because of their zipper seal I can keep them fresh in-between uses. I can easily see us throwing them in the stroller to walk to the park or grabbing a couple when we're rushing out the door in a hurry. So fast and easy. Okay well now onto the part you've been waiting for: TWO of you will win a free 6 month deluxe snacker subscription to NatureBox! That's 5 bags every month, for 30 bags total! All you have to do to enter is to follow this link here to the snack page, and come back here to leave a comment with your favorite snack(good luck choosing just one:)). Unfortunately this is only open to those with a US shipping address and you must include an email so they can reach you when you win! Side Note: I've personally loved every single one in our box (which is incredible), but if I had to pick favorites I'd choose the cherry ganache granola(so chocolatey), the pistachio power clusters(like yummy nut brittle), the blueberry nom noms(taste like no bake cookies), the whole wheat figgy bars (like jam filled cookie bars), and really I could go on and on! Every treat was incredibly fresh tasting, each was properly moist or crispy as it should be, and all of them were something that I'd pay a whole lot more individually at some organic shop. I can't wait for our next box! 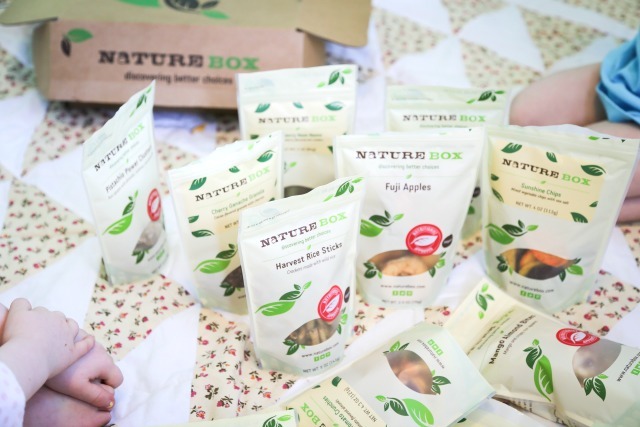 Special Bonus for my readers: NatureBox is offering 50% off your first box with them in any size if you've never tried them before, just use the code FOX at checkout! Thanks so much for visiting and reading today, and I hope you go and check out NatureBox! The blueberry figgy bars look awesome! I want to try the blueberry almonds! Dark Chocolate Berry Trail Mix and the Cranberry Almond bites sound delicious. 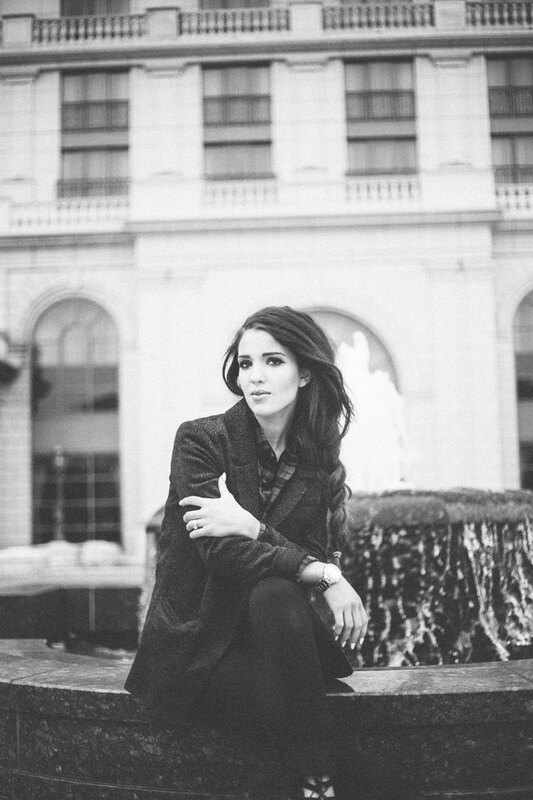 Thanks for sharing such a great site. The cranberry almond bites and dark chocolate berry trial mix sound wonderful. Thanks for sharing such a great site can't wait to try them out. I can't wait to try the Honey Macadamia Pretzel Pops! Goodness! I can't wait to try the Honey Macadamia Pretzel Pops. Goodness!! I have been dying to try the chipotle chickpeas!!! 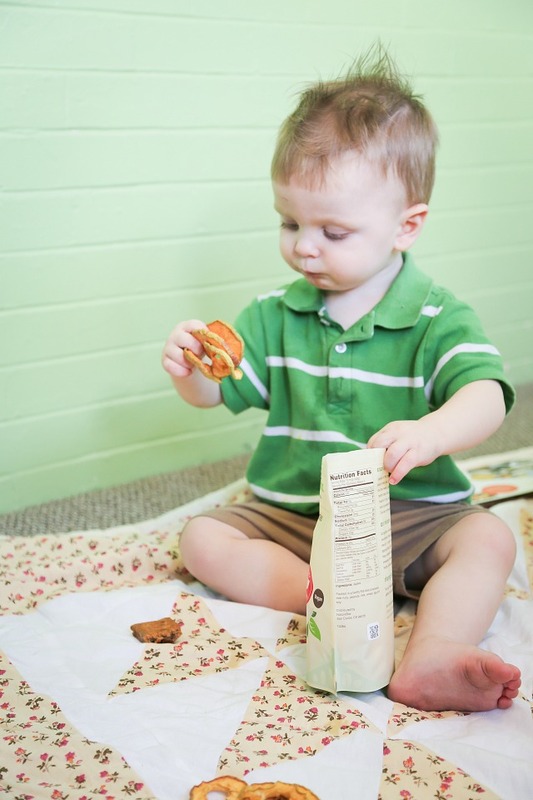 I've entered a giveaway for Nature Box on other blogs, and it's always those chickpeas that catch my eye. I've been dying to try those chipotle chickpeas! This looks delicious! I've seen them a few times before, but haven't tried them yet. I'd love to taste the honey crunch chips - they look amazing. These look delicious! I can't wait to try the honey crunch chips. Yummy! Cherry ganache granola! It looks so good! The tropical trail mix looks fantastic! Right about now I'm craving the sun; it's raining cats and dogs in Seattle so I will pretend like I'm somewhere warmer while consuming the tropical mix. I want to try the Big Island Pineapple! Yumm..I want to try one of everything. I think my little guy would gobble it up as well. Yumm...I want to try one of everything. I think my little guy would eat it up as well!! The potato fries, the dried peaches or the salted caramel pretzel pops! Who am I kidding, they all look fabulous! I love that they have a non GMO option! I think Citrus Chipotle Chickpeas. Wow I have never seen such delicious looking and HEALTHY snacks before! I can easily list 10 I want to try but I think the Baked Sweet Potato Fries sound delicious. What a great service this is. I have never seen so many delicious looking and healthy snacks before. I can easily list 10 I would like to try but I think the Baked Sweet Potato Fries are a must have! This is such a great service, thanks for bringing it to our attention! Oh YUM! My fave snack is Sriracha Roasted Cashews!!! I can't like all of them?! haha. I've been wanting to try NatureBox for a long time now! Those cranberry almond bites look fabulous! Oh My Gosh! These all look so delicious! We've been browsing this site for a couple months now but keep putting off ordering it. My husband would love if we won (he's such a snacker). It's hard to pick just one but the Honey Macadamia Pretzel Pops look so interesting and I bet they are yummy! The French toast granola sounds amazing! Salted Caramel Pretzel Pops?! Yes please! Everything looks great though! The peanut butter Nom Noms sound amazing! Excellent giveaway! I'd have to pick the peanut butter nom noms or the figgy bars. The Sriracha Roasted Cashews look delish!! MMMM I just wanna try these Citrus Chipotle Chickpeas! The whole wheat raspberry figgy bars. The raspberry figgy bars look like a great snack! I so want to try the Salted Caramel Pretzel Pops! Yum!! Blueberry nom noms definitely win my vote! Mmm I want the Honey Macadamia Pretzel Pops! Wow. Mmmmmm! Healthy and delicious! Sounds good! I think they do all look amazing, but dark cocoa almonds or any of the granolas are what I would pick! This was a tough decision for me! haha But I would have to say the praline pumpkin seeds sound incredibly delicious. I'm always up for some pumpkins and pralines, so this combination sounds absolutely heavenly! Mmmmmm! They all look yummy and healthy. Dark cocoa almonds or any of the granolas sound good! Wow...they all look so good! I would love to try the Roasted Kettle Kernels. Yum! so many yummy snacks. We are a pretty meatless family so it's nice to see that option. Roasted Sea Salt chickpeas, Big Island Pineapple and chili lime pistachios. I want all those right this minute. The pistachio power clusters sound amazing! Yum! The pistachio power clusters sound divine! ooooh! the citrus chipotle chickpeas look amazing! The Whole Wheat Apple Pie Figgy Bars look fantastic. Holy moley you were right! So hard to pick! I'd probably have to go with Peanut Butter Nom Noms because anything with pb is a winner in my book! The fig bars all look great! The sunshine chips look great! Thanks for the giveaway! I like the pistachio clusters! I would love any of the flavored almonds, but I am particularly intrigued by the blueberry almonds. The banana bread granola and the salted caramel pretzel pops <3 <3! There are so many delicious ones to choose from! The French Toast Granola and Granny Smith Apples sound delicious! YUM! I would J'adore the Baked Sweet Potato Fries and the Toasted Cheddar Sticks! the sweet blueberry almonds look divine! Uh, Roasted Kettle Kernels where have you been all my life! Wowza I need some of those today! Hello roasted kettle kernels! Where have you been all my life! Forgot my email. Kflygarecoupons at gmail dot com. My favorite so far has been the cherry granola-SO delicious. i love sweet blueberry almonds! the whole wheat figgy bars look fantastic! my email is laurak16@gmail.com, sorry! And like I said, love the fig bars! Praline Pumpkin Seeds...those sound great. Praline Pumpkin Seeds stood out the most, though all of it looked quite good. Dark Chocolate Berry Trail Mix looks great! Dark Chocolate Berry Trail Mix. Okay, how fabulous is this giveaway! I absolutely ADORE naturebox! I am dying to try the fabulous french toast granola! Sounds amazing! Fingers crossed! ps. you look amazing! I love the Pistachio Power Clusters! Cherry Crumble Granola sounds delicious. And my husband would like the sour cream and onion almonds! Given my love for salty things, I'm guessing I would love the pistachio clusters. The Pistachio Power Clusters sound fantastic! 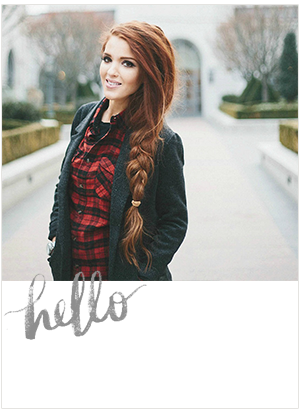 Thanks for such an awesome post/giveaway, Emily! yum! they all look fantastic but i think i would definitely check out the dark chocolate berry trail mix first!! they all look amazing but i think i would try out the dark chocolate berry trail mix first! I'd love to try the Whole Wheat Blueberry Figgy Bars. They look delicious! I'm drooling over the Salted Caramel Pretzel Pops. What a great giveaway! I had signed up for a free sample a long time ago and received the cherry ganache granola! Looooved it. So many look good! I think my favorite would be the honey macadamia pretzel pops. But the banana bread granola looks great, too! They all look great! I think my favorite would be the honey macadamia pretzel pops, but the banana bread granola looks amazing as well! I really want one of everything - YUM! But, the Dark Cocoa Almonds sound extra delicious! Cherry Berry Granola. I've been wanting to try nature box for 6 months now! Thanks for the chance! 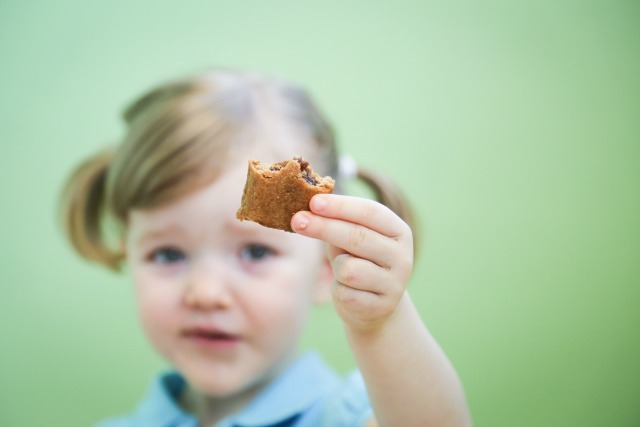 I know my boys would LOVE the whole wheat apple figgy bars! 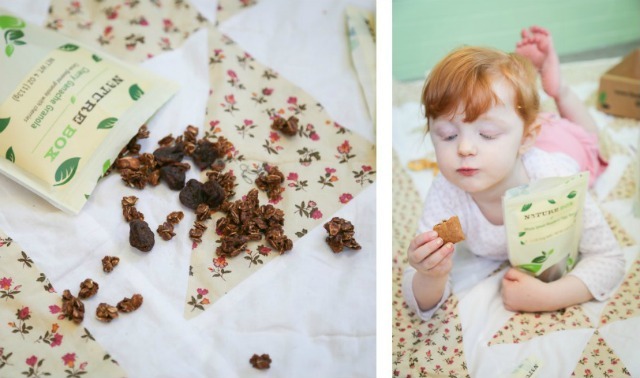 I love dried apples, so the dried granny smith apples would be right up my alley! Cherry Ganache Granola or dark chocolate berry trail mix...too hard...I guess dark chocolate trail mix! Peanut butter nom nom's! I love peanut butter and so does my 5 year old! I'm trying to get my kids to eat healthy snacks, and this would be great! pjbjm08@gmail.com. I would have to pick the roasted garlic pumpkin seeds! Omg so much yummy looking stuff, even for a a picky eater like me! I love the look of the acai berry crunch and its GMO free! I want to try the Bombay Curried Cashews! How could that go wrong? Oh my gosh, that very first thing, the Honey Macadamia Pretzel Pops look incredible! Would also love to try any of the Stix varieties! Thanks for the giveaway! 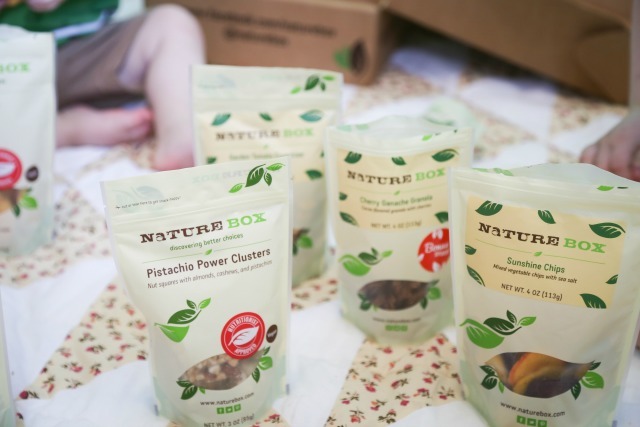 I've seen so may bloggers rave about Nature Box and everything just sound so amazing! These would be perfect to keep as snacks (since I live in a sorority house and we all know that the healthiest food choices aren't being made on reg there). The sweet potato fries and the sour cream and onion almonds sound amazing! How do you pick just one. The I love Macadamia nuts so the Honey macadamia pretzel pops. And the Guacomole Bites. The cherry berry bonanza looks the best! 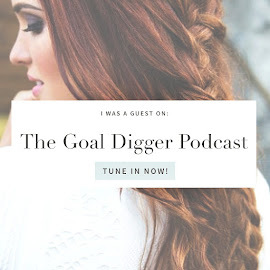 I've seen several bloggers raving about this lately. Everything looks delicious: cherry berry bonanza, BBQ sunflower kernels, citrus kick almonds, garlic pumpkin seeds ... I could keep going!! Pretty sure I would become addicted to the plantains! You weren't kidding -- these look amazing!! I would probably try the Aztec Chia Seed Trail mix -- sounds like a unique but delicious blend of ingredients! Wow, sooo many delicious options! Pear praline crunch sounds amazing! That French toast granola sounds delish. I can't wait to try this company out! I think I'd be happy to try all of their snacks, but the Citrus Chipotle Chickpeas sound particularly delicious! I've been considering this snack box for a while now and your post persuaded me to take the leap! I am looking forward to trying the sunshine chips and the pistachio power clusters! Fingers crossed! I NEED to try those blueberry almonds! And the pistachio power clusters because come on they look amazing! My email is rachellynnmontano@gmail.com fingers crossed! You weren't kidding! That is really hard to choose, but I am going to have to go with teriyaki twists because I love teriyaki so much. My email address is ballet7439@hotmail.com. Dark cocoa almonds:) But everything looks so good! You weren't kidding! I am going to have to go with teriyaki twists because I love teriyaki so much. My email address is ballet7439@hotmail.com. Sweet blueberry almonds for sure!! So many amazing choices! I'd say Dark chocolate berry trail mix and/or Mexicano Mangoes... I can't just pick one!! Oh man. I think I'll go with the Southern BBQ Sunflowet Kernels. Crossing my fingers and hoping to win! aHHHHH! The Pistachio Power Clusters looks amazing! I think the French Toast Granola sounds awesome! I think the French Toast Granola sounds amazing! I want to eat everything!! But the sweet potato fries caught my eye. Yum! !